Why is employee engagement critical to an organization? 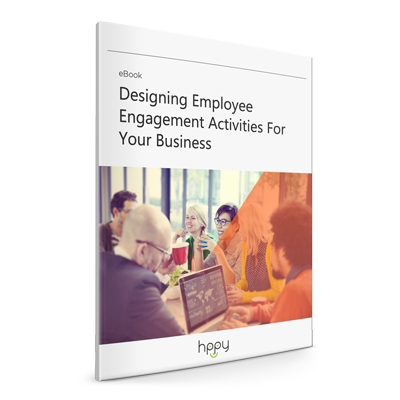 Many think “getting more employees involved” is the end game. That’s true, but for what purpose? To make every person feel like they are making a contribution? To make them happier? To make them more supportive of leadership? If the purpose of employee engagement isn’t clearly defined, and a disciplined process to achieve that purpose isn’t established, the best that can happen is busyness and dysfunction. Employees are busy as hell but they are not acting in unison towards a shared outcome. Employee engagement must be strategically driven. It must be THE vehicle to mobilize the employee body to execute the strategy of the organization together; consistently. The employee group is the orchestra; the song sheet is the strategic game plan and values of the organization. And the desired behavior is EXECUTE AS ONE. This 5-step process will increase engagement towards the achievement of shared strategic goals. Make employee engagement one-on-one. Effective engagement is leadership driven, not program driven by a centralized group like HR. Individual leaders must be held accountable for getting their teams more engaged in strategy and values. Unfortunately, a top-down program is less effective than encouraging daily hands-on involvement by leadership. Connect each function in the organization with the strategic game plan. This involves drawing a straight line between strategy and the deliverables every department is expected to produce. In practical terms, this means translating the relevant key result areas (KRA) of the strategy and specifying what each one means for every team. If “delivering dazzling service” is a strategic KRA, for example, it must be designated as a critical performance area for all functions in the organization and their roles must be defined in granular terms to ensure they are clearly understood. Define the role each person is expected to play in each performance area. In sales, for example, it could relate to focusing on building deep relationships with high-value clients as opposed to flogging products at them to satisfy short-term sales targets. For each employee, set 3 objectives which are “tight” with the specific roles defined and establish the mechanism to track results achieved. For sales, measuring client perception is necessary to evaluate whether the salesperson is actually building a deep and intimate relationship with them. Set an objective for each salesperson – 75% of Roy’s named clients will agree that their relationship with him is “excellent” – and measure the result monthly. This is where strategy hits the ground and real engagement occurs. Review performance regularly. Leaders must sit down “eye to eye” with each of their team members; review the results of each objective set for them, and define an action plan to close any performance gaps. Engaging employees effectively to help the organization achieve its goals requires the consistency and discipline of individual leaders working with each one of their team members day in and day out. It’s brutal but required work if you want to take employee engagement to another level and stand out from the crowd who rely on programs handed down from above.